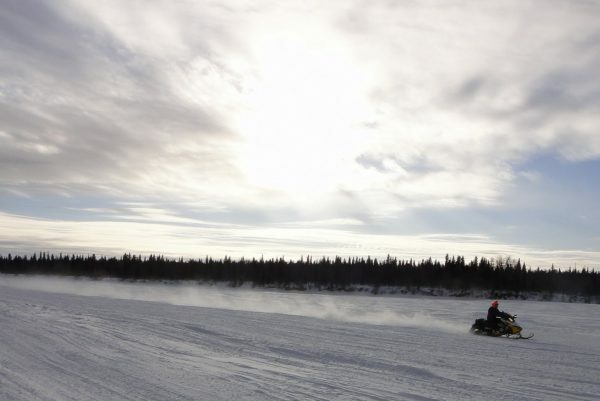 Rumors of the demise of the Iron Dog snowmobile race, regarded as one of the most punishing and grueling snowmobile races period, were verified when we stumbled upon an Associated Press article last week. Sourcing the Anchorage Daily News, reports verified that Iron Dog officials would be meeting to determine the future of the 2,000 mile point-to-point race. The Iron Dog organization announced in a Facebook post the event is “running on empty” when it comes to both finances and leadership. The Anchorage Daily News reports board member Lee Butterfield wrote in the post that they don’t have funding to pursue new leadership through pay, nor maintain basic staffing levels. The historic Alaskan back-country race dates back to 1984, but in recent years has struggled after loosing a title sponsor in 2016 and having its executive director resign last summer. With the cost to stage a race for one year at $425,000, Butterfield said it’s possi9ble the board could cancel the 2019 race and rev-up again in 2020. The board is slated to meet tonight (Tuesday, August 21, 2018) to make a decision on this winter’s race. The board of directors meeting will be preceded by 30 minutes of public comment from 5-5:30 p.m. at the Iron Dog office (7100 Old Seward Highway, Suite C). Anyone is welcome to participate. People can also leave comments or suggests on a survey posted on the race’s Facebook page.